I was the first person to call for Catherine Pugh’s resignation of Baltimore more than two weeks ago. But the absurdity of this story continues to grow at alarming rates. At every turn, it seems like a new organization has its hand in the cookie jar. First, it was just the University of Maryland Medical System; it was only later we found out that Pugh pushed bills that benefitted UMMS during her time as a State Senator. Then it was Kaiser Permanente. Then it was the Associated Black Charities. Now the Maryland Automobile Insurance Fund is involved too. You have to start wondering how many more state agencies bought these books? How many more companies attempting to business with the city or the state bought these books? What other organizations may have benefited from the proceeds from these books, and how are they connected with Mayor Pugh or other prominent Democrats? Our discussion about the involvement of KO Public Affairs seems more relevant by the day. What a load of it. The fact is that Baltimore had enough problems before its Mayor became involved in the biggest public corruption scandal to hit Maryland in a long, long time. The fact that she has handed over the reins to City Council President and now Acting Mayor Jack Young doesn’t do much to stabilize things, particularly since Young has some of his own problems. And while Young has said that he will have a “steady hand” as Mayor, he has already destabilized things on his own by announcing that he will not run for Mayor in 2020 no matter what (though we know things change). And that will likely give a free hand to every Democrat who has been eying up the Mayoralty to be very public about their intentions. Pugh’s “leave of absence” further destabilizes things because there’s no timeline for when she will come back. No timeline for when she will resume her duties. No sense as to whether or not she even will be able to resume her duties. The situation is quite reminiscent of when Governor Marvin Mandel stepped aside during his legal troubles to hand power to Lt. Governor Blair Lee III as acting governor for almost the entirety of the rest of his term. Young could be acting mayor for six days, six weeks, or six months and we just don’t have any idea of when Pugh will be back. If Young starts passing his own agenda and stamping city government with his own managerial style, that could all be upended by Pugh’s resumption of her duties, which will destabilize an already dysfunctional city government. Baltimore has had enough problem Mayors over the last two decades who can’t focus on city business, from Martin O’Malley’s gubernatorial run, to Sheila Dixon’s gift cards, to Stephanie Rawlings-Blake’s DNC duties and her incompetence during the Baltimore Riots. And now Dixon, who seems to have spent the last decade trying to find creative ways to make a few dollars on the side. With the State Prosecutor opening up a formal investigation this entire crisis is not going to go away any time soon. Baltimore desperately needs a mayor who is committed to the city, committed to ethical governance, committed to fiscal responsibility, and committed to real change for Baltimore. 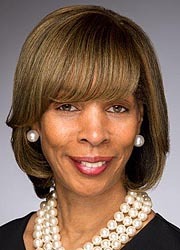 Even though no such person is in the line of succession, Catherine Pugh should step aside permanently as Mayor and let Jack Young serve out her term until voters can sort out this sordid mess in 2020. Pugh’s gone for now. But she should never come back.